It is a cider vinegar made with organic cider obtained from varieties of apple sweet-bitter and without the addition of sulfites for conservation. The slight acidity of this vinegar makes it a perfect match for all types of salads, marinated products, meat or fish, as well as giving a fresh touch to the sauces. 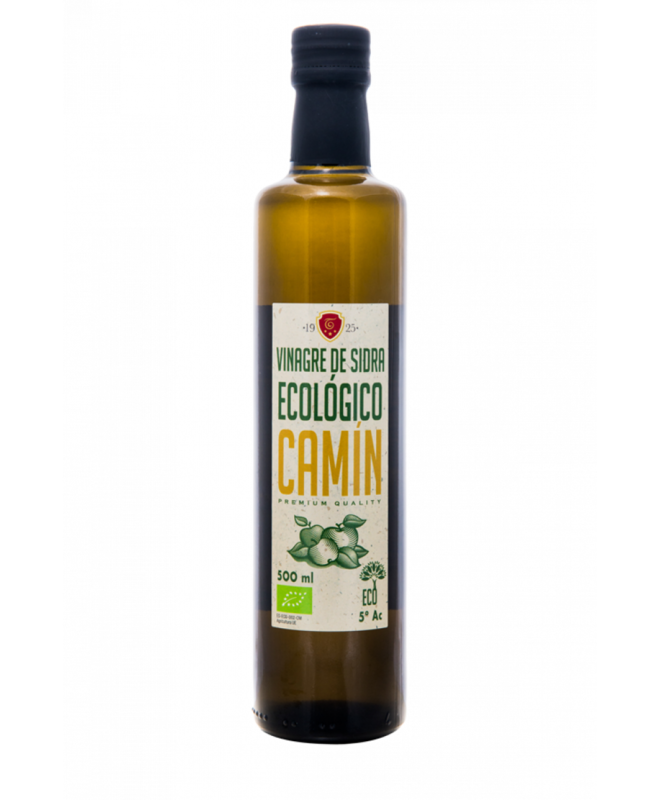 The ecological certification of this vinegar guarantees that the cultivation of the apples used for its elaboration has been developed without using synthetic chemical products, nor genetically modified organisms (GMOs), being, in addition, a more respectful culture with the environment. - Doric glass bottle of 25 cl. - Box of 6 units of 25cl. - Doric glass bottle of 50cl. - Box of 12 units of 50cl. Cider varieties: produced with cider obtained from bittersweet apple varieties.